At ripeness the tiny berries show a beautiful pink color and burst with floral fruit flavor. The Gewurztraminer is a collaboration between Mark & Dan Goldfield (Dutton-Goldfield Winery) with only a very few cases going to a very few favorite customers. And Mark has assured the winery that he will consume any of the small production not scarfed by the rest of them. The intensity and beauty of the aromas from this wine are obvious the moment the cork is pulled. Lilacs, grapefruit, ripe peaches and granite are just some of the descriptors that might come to mind. A wine to be enjoyed, well chilled, on the deck with good friends. 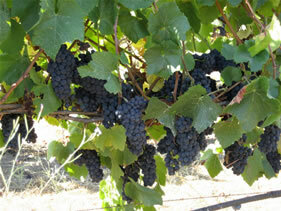 Pinot Noir fans appreciate exotic vineyard sites and eccentric vineyard owners. Mark Pasternak and his Devil's Gulch Vineyard fit the bill on both accounts. The ranch combines steep terraces, shallow soil, an extremely cool location, protected exposures, and well-chosen Dijon clonal selections to produce a small crop of unique Pinot Noir. This Pinot jumps out of the glass with vivid aromas of cranberries, raspberries, leather, and nutmeg. It is a wine to be quaffed with good and great friends! "This wine is a WOW! Wine from the first sniff. Deep rich ripe berry aromas a concentration that explodes on the palate. This wine has fruit, has body richness, has enough tannin for a real backbone, and balanced to age a good while in the bottle. A rare, special find. This wine has lots of everything." Located on a steep, convoluted hillside adjacent to the Point Reyes Peninsula in Western Marin County, Devil's Gulch is a pioneering planting. 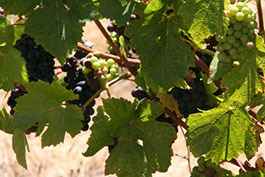 Mark primarily grows Pinot Noir grapes, but the vineyards also contain a small amount of Chardonnay, which is used to produce sparkling wine, and a very small amount of Gewurztraminer. Mark has been farming winegrapes since establishing his first vineyard in 1980. He now manages and/or consults for much of the winegrapes grown in Marin County. He sits on the boards of the Sonoma County Winegrape Commission, Petaluma Gap Winegrowers Alliance, and the Marin County Winegrowers Association. 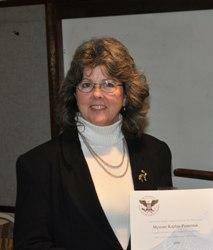 Myriam Kaplan-Pasternak is a veterinarian, farmer, agricultural development practitioner and now CEO of Haiti Coffee. Since 1971, Myriam and her husband Mark have owned and managed Devil’s Gulch Ranch in Nicasio, California, a diversified family farm that supplies high end restaurants and wineries as well as educating children about nutrition and food production. Her experience in international development began in Niger, West Africa, where she was a Peace Corps Volunteer from 1983-85 focusing on nutrition. Since 2007, Myriam has been working with Makouti Agro Entreprise as a Partners of the Americas Farmer to Farmer volunteer problem-solving the economic needs of communities and farmers in Haiti for which she received a Presidential Volunteer Service Award in 2010. Her efforts intensified following the January 2010 earthquake in Haiti, which she along with her husband and children experienced firsthand. She currently acts as a consultant/catalyst/grant writer for several agricultural projects throughout Haiti. She also helped found and direct the 501(c) 3 nonprofit organization DG Educational Services and the West Coast Haiti Network. Devil’s Gulch Ranch purchases green beans from Haiti Coffee, Inc and has them roasted for local sales in Petaluma. We invite you to share one of the best kept secrets in the world of gourmet coffee. From the dense and lush tropical mountains of Haiti, comes a coffee bean that produces a rich, aromatic, and sensational coffee drinking experience. The 2012 Marmelade has been Q rated by the Specialty Coffee Association of America (SCAA). We hope to provide the individual and the merchant the opportunity to have this unique java taste on hand. The morning songbirds of Haiti can be heard with every satisfying sip. Out of 25 types of coffee, Coffea Arabica (pronounced a-ra-bik-a or ar-a-beka) and Coffea Canepha are the two most familiar. It is Coffea Arabica that produces 70% of the world's coffee. Haiti’s climate, the growing region’s mountain elevation, and the shade provided by the indigenous trees all provide the perfect growing environment for this precious bean. We are proud to introduce this coffee to you and to share the secret with coffee enthusiasts everywhere. 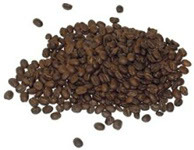 Coffee was introduced to Haiti in 1725 by the Jesuits in the commune of Terrier Rouge as arabica seedlings from Martinique. A decade later coffee was planted at Dondon, another community located at an altitude of 450 meters in the département du Nord. Coffee then spread to all 10 departments thriving in colonial times. Haiti became a valuable producer on the international market producing 50% of the world’s coffee, first acquiring international demand in France. At that time Haiti was still a French colony. From Paris to Marseilles, the French fell in love with the tropical treat and embraced it as their own. The decline of the coffee sector in Haiti started around the beginning of the 1970s with the lowering of the price of coffee on the international market. From 1971 to 1982, the coffee acreage rose to approximately 140,000 ha. According to recent estimates, coffee is down to 115 000 ha producing an average 250 kg per hectare nationally, due to pestilence and lack of maintenance. The result is a decrease in domestic production from 45 720 tons in 1962 to 21 000 tons in 2006. In the early 1990's coffee cultivation in Haiti was affected by trade embargos, as well as coffee rust, a fungal disease that attacked the coffee bean plant, (Coffee Research Institute). With the help of USAID and the Inter American Development Bank, the Fédération des Associations Caféières Natives (FACN) was created in an effort to improve the processing and quality of Haiti’s coffee. Few Haitians these days can make a living growing coffee and the knowledge is becoming lost with the passing of the older generation. Until now there was more value in cutting the trees for charcoal than processing and selling the beans. Haiti Coffee is working collaboratively in Haiti with other companies and NGO’s to revitalize the coffee industry and to facilitate export. With the help of Haiti’s own Makouti Agro Entreprise and Partners of the Americas Farmer to Farmer program, farmers now have a voice, access to knowledge and a route to access resources to redevelop their agricultural heritage to its former glory. Haiti Coffee, Inc is also committed to the rebirth of Haiti, formerly known as The Pearl of the Antilles. Please visit our Charitable Projects Page at HaitiCoffee.com. With every purchase made, a percentage of profit is dedicated to helping the people of Haiti. With your help we can help Haitians help themselves. Devils Gulch Ranch is now selling locally roasted Haitian single origin coffee. We are a family farm in Nicasio, Marin County owned and managed for over 40 years by Mark Pasternak and Myriam Kaplan-Pasternak, DVM. We raise rabbits, pigs and sheep, and sell to many well know restaurants in the Bay Area. We have been working in Haiti since 2007 providing agricultural education, mostly for rabbit production, but have recently become involved with some coffee producers as well. While Myriam was working with farmers after the earthquake in 2010, she became aware that they were having a hard time finding reliable sources to sell their coffee to at fair prices. Therefore, in 2011 we began purchasing, importing, and selling Haitian green coffee. We also have some roasted in Petaluma to sell locally to markets and restaurants. Our coffee is 100% Haitian unblended, single region coffee beans direct from the mountain forests of Haiti. Each batch represents a single harvest season, and a specific type of processing. As Haiti Coffee, Inc grows, more of Haiti's coffees will be featured. The mission is to help promote the awareness of Haiti’s coffees, to increase sales of Haitian coffee beans, to help Haitians rebuild their coffee industry in a sustainable manner, and help the Haitian coffee farmer earn a living. Haiti Coffee is also committed to supporting sustainable redevelopment to help Haiti become the Pearl of the Antilles once again. At this time, the coffee is not certified organic nor fair trade, though we will be assisting the growers in evaluating certification. We are already paying more than the fair trade price, and the Haitians cannot afford to buy chemicals for their coffee trees, anyway. Tours, workshops, events, and educational programs! Meats, rabbit, quail, lamb, coffee, wine, dogs, horses, pelts, and handicrafts! Register now and have fun! A diversified family farm located in Nicasio, Marin County, within California’s North Coast region, produces rabbits, pigs, sheep, premium wine grapes and asparagus for retail customers and direct sales to high-quality restaurants. Sustainable, humane agricultural practices are utilized, organic whenever possible.